Within the framework of the 8th Choreographic Coding Lab happening at the FIBER Festival 2017, this panel presents current day practices, with research and education institutes that are connecting the worlds of creative coding, interaction design, dance, and choreography. The speakers will share their work, knowledge and reflect on the past, present and future of interactive dance, digital notation and choreography preservation. 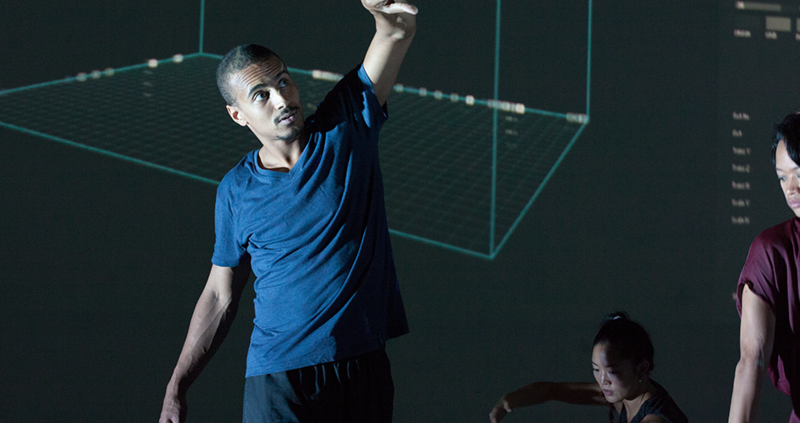 This panel also explores how artists, designers and artistic engineers could translate aspects of choreography and dance into digital form and applying choreographic thinking to their own practices. With Scott deLahunta (Motion Bank/CCL) / Moderator, Maaike Bleeker (Utrecht University), Ruairi Glynn (Bartlett School of Architecture) and Gaby Wijers (LIMA). Dr. Scott deLahunta has worked as a writer, researcher and organiser on a range of international projects bringing performing arts with a focus on choreography into conjunction with other disciplines and practices. He is currently a Senior Research Fellow at the Centre for Dance Research, Coventry University (UK) and Deakin Motion.Lab, Deakin University (AUS). He is also co-directing the Motion Bank based at the Hochschule Mainz (DE) with Florian Jenett. Maaike Bleeker holds the chair of Theatre Studies in the Department of Media & Culture at Utrecht University, and serves as the president of the international organization Performance Studies international (PSi). Bleeker’s research focuses on processes of perception and meaning making in performance, dance, theatre and the arts, as well as in science and in public life. Her presentation is connected to her publication Transmission in Motion. The Technologizing of Dance (Routledge, 2016). Ruairi Glynn is Director of the Interactive Architecture Lab at the Bartlett, University College London. Alongside academic research he practices as an installation artist recently exhibiting at the Centre Pompidou Paris, National Art Museum of China Beijing and Tate Modern London. His interactive installations reflect on rapid developments in robotic technologies examining the emerging aesthetics of animate behaviour in art, architecture and design. In his academic practice as director of the Interactive Architecture lab at the Bartlett School of Architecture, he designed the 15-month Design for Performance & Interaction Masters, a new interdisciplinary programme that commences in October 2017, and invites students from a wide range of artistic and technical backgrounds. Gaby Wijers is the Director of LIMA (Living Media Art Foundation), located in Amsterdam, which preserves, distributes and researches media art. She was formerly the head of conservation and collections at the NIMk, the Netherlands Media Art Institute, also known as Montevideo. Right after the Moving Matter(s) Panel we would like to invite you for some drinks at the De Brakke Grond Café. Join us for this special moment and don’t lose the opportunity to meet the speakers and local professionals from the art, design and dance scene. Let’s enjoy those great Belgian beers together!